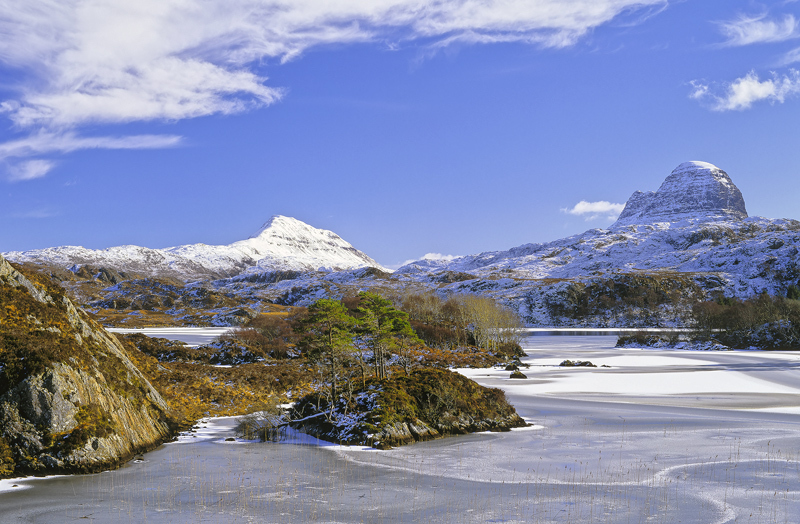 This little gem of a loch is pretty well tucked away but it offers a wonderful view of Suilven which sticks up like Little Jack Horners thumb from this my favourite viewing angle. It just so happens that the little lochan in front of this very special mountain is equally interesting with an island containing Scots pine and a reed bed immediately in front of it. Confronted with a mid afternoon winter view of the frozen loch in dazzling sunlight I found it irresistable.